My first contact with Japanese gastronomy was in 1993, when I was in a relationship with a Japanese girl. Her father owned a pioneering Japanese restaurant in Argentina and although I wasn’t there long, being there awoke in me great curiosity and taste for gastronomy and, in particular, for the Japanese style. That is the point when I consider my career in this fantastic and extensive culinary world. After several years of apprenticeship, in 2001, I started working with Hatsuko Komiyama, precursor of sushi culture in Argentina and one of the first female sushi chefs in the country. It was there, among the Japanese, that I acquired all the necessary knowledge regarding pure Japanese gastronomy. 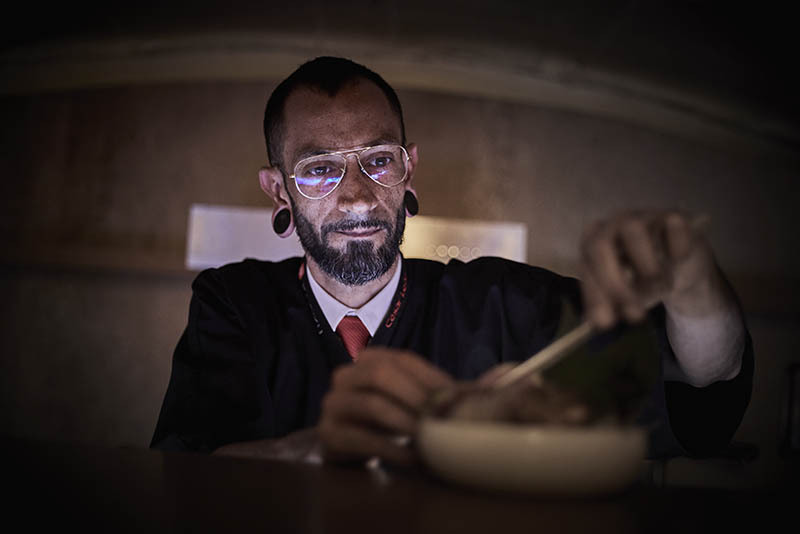 Sometime later, I began working at the recently opened Japanese restaurant Sushi Club, on the island of Mallorca. At that time, they had 3 premises and, thanks to their quality, they were rapidly able to open up three more, with which I helped on the project and acquired a wealth of knowledge about the wide world of sushi. Later on, I started a voyage through different projects, in different places, with the aim of further expanding my knowledge of Japanese methodology and gastronomy as a real Itamae – a chef and expert in Japanese cuisine – a status for which many years of learning and hard work are required. And that’s where one of those trips began. In 2015, by one of those chances in life, I met Enric Picó, owner of Kairiku, on up to two occasions, and he offered me a project in a 5-star luxury hotel in the south of Mallorca, near the wonderful beach of Es trenc. After accepting, that new adventure materialized in the year 2016, when I became head of the project and ever since then, I finally get to develop all my creativity in each of the dishes I prepare, as well as in each tasting menu that each and every one of the diners at our restaurant try. All of this, through the Omakase or “trust the chef” method, a gesture that gives authority to the Itamae, to prepare whatever he wishes. The project was extremely successful and managed to get Kairiku included in the prestigious Michelin Guide, returning this year with a new and renewed proposal, and full of anticipation in the hope that Japanese food enthusiasts can live the experience of a true Omakase ritual.